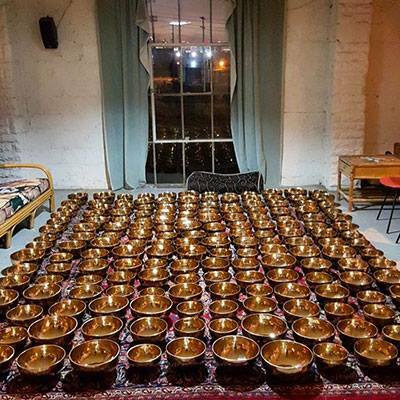 Have you ever experienced the power of 111 Tibetan Healing Bowls in one room? Now you can at Unity Palo Alto! Join Dr. DREAM and his Band of Angels for a unique experience. 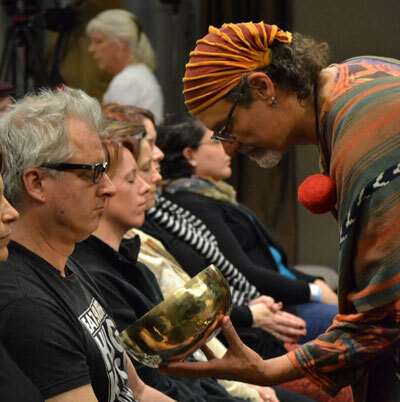 111 Tibetan Healing Bowls will surround the audience and facilitate an opening, clearing, releasing, and then expansive experience. But there is more to this experience than just sound. Dr. Dream will also use essential oils and raw Cacao to take you over the top. Dr. DREAM has facilitated more than 500 groups, energetic experiences, using a multi-sensory approach. 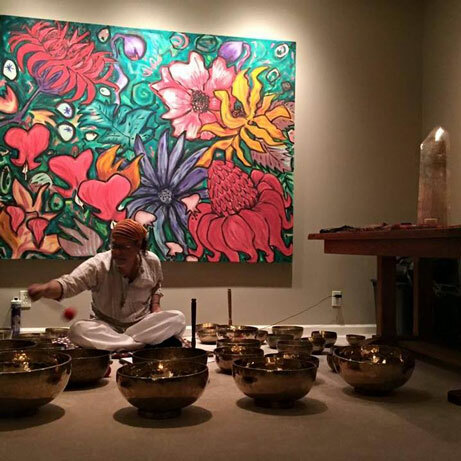 The sound of each chakra bowl and 111 bowls all played together will reach in, touch your Soul, and hug your Spirit. Allow yourself to settle in and be guided by this sound, vibration and olfactory offering. 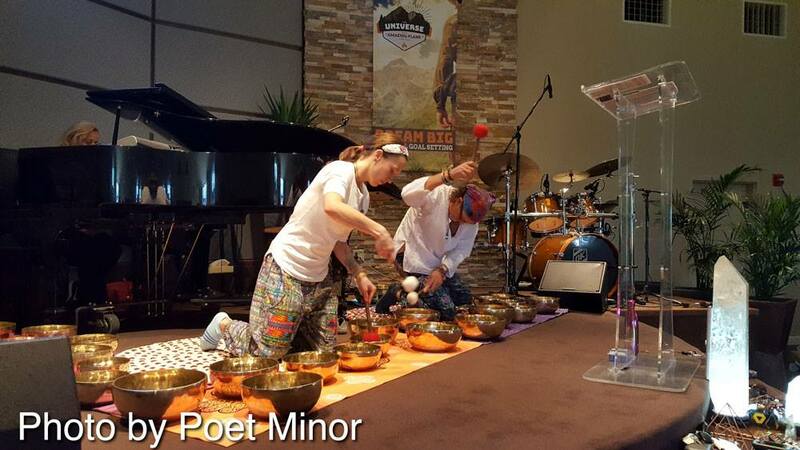 Being an Angel at the Tour of Love Tibetan Bowl Sound Healing Experience is a very special opportunity to serve our awakening planet! Being an Angel is an act of Love! Angels around the country find this experience very rewarding, for their own spiritual growth and personal development. Sign up to be an Angel today! So who is Dr. Dream? 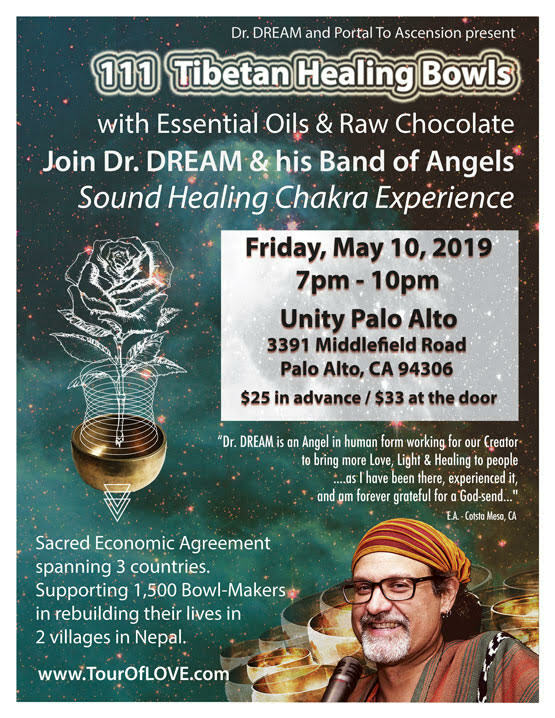 He’s a Sacred Economic Entrepreneur, Humanitarian, Holistic Healing Practitioner, International Speaker AND “the Bowl Whisperer”. Mark “Dr. DREAM” Peebler, has over 20 years experience in guiding, mentoring and empowering students, organizations, and corporations in building, reaching and sustaining their full potential, on all levels. He has traveled to sacred sites around the world including locations in; Egypt, Cambodia, Japan, China, Russia, United Kingdom, Greece, Turkey and throughout Central and South America. From presenting at Total Solar Eclipse Festivals and Burning Man, ceremonies at Machu Picchu, Angkor Wat, and Pyramid of the Sun at Teotihuacan, to his weekly radio broadcasts (since 2005, currently on hiatus), Dr. DREAM has assisted the journeys of thousands of incredible beings on their path of transformation. We ask that anyone under 18 who wants to attend this event is accompanied by a guardian or parent. There is no assigned seating. Seating is first come, first served. We recommend that you bring your own water to this event. We have water fountains around campus. We do not allow anything other than water in a closed container on our carpeted areas. We also advise that you dress in comfortable layers so that you can add or remove clothing should you become cold or hot.